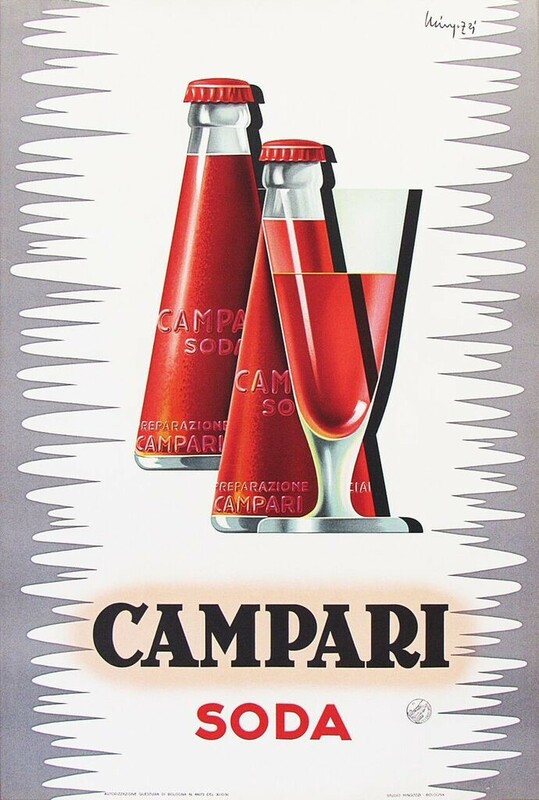 An original mid century vintage poster for Campari Soda. Great graphics and clean design highlight this linen-backed poster. A great smaller size for bar or kitchen area.